Attorney and Texas state judge elected to US Congress in 1998, succeeding his father, long-time US Representative Henry B. Gonzalez. 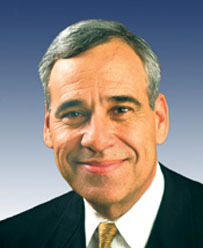 Moderate Democrat; generally pro-abortion rights, pro-gay rights. Supported 2001 USA PATRIOT Act, 2008 GM/Chrysler bailout, 2008 Wall Street bailout, 2009 economic stimulus, 2010 health care reform; opposed 2002 Iraq War resolution. His ex-wife, Becky Whetstone, ran against Gonzales as an independent candidate in 2002 and 2004.